A couple of weekends ago, joined with Tracey, Angelo, Shaun, and Serena, I had the opportunity to attend Mark Sisson’s (author of The Primal Blueprint and Mark’s Daily Apple) PrimalCon 2011. PrimalCon is a health and fitness retreat with the purpose of bringing us back to basics, back to the beginning, referring to our ancient ancestors of the Paleolithic era and how they survived as hunters-gatherers. How is this relevant to us, you might ask. Mark’s philosophy for primal fitness is simple: sprint, lift heavy things, play, rest, and then repeat. And of course, it’s also supposed to be fun. Example: run, bike, row, even the elliptical with an all out effort. Try Tabata intervals: (20 seconds of work; 10 seconds of rest; repeated eight times for a total of 4 minutes). Example: squats, pull-ups, push-ups, handstand push-ups, and planks. More advanced examples include: deadlifts, push press, snatches, cleans, thrusters, kettlebell swings, and jerks. A normal presumption is that you have to pick up something to count as moving heavy weights, but in actuality your own body weight can be just as effective. This is what should be called “Play Time.” It’s easy to moderate exercise that keeps you moving, gets your heart pumping (55-75% maximum heart rate). Example: walking, rowing, biking, elliptical, jump roping, and dancing. Other examples would be: hiking, swimming, playing outside with the kids, ultimate Frisbee, soccer, or channeling your inner Angelo. 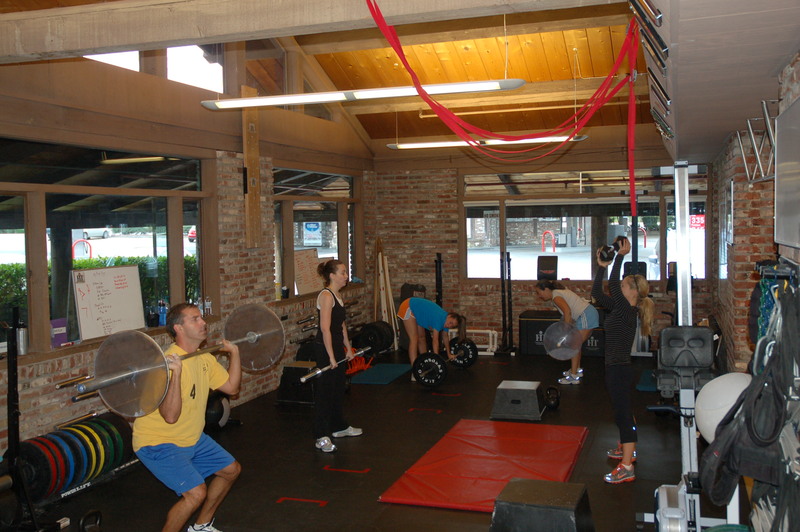 Mark’s philosophy for fitness is functional, realistic, simple, and fun. It’s what we try to achieve and implement into your training regimen at FIT. This entry was posted in Events, Exercise, Inspiration.